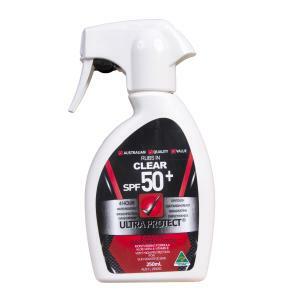 SPF50+ sunscreen lotion, 4 hours water-resistant, dry touch sunscreen lotion provides very high broad spectrum protection from the sun’s damaging UVA and UVB rays. SPF50+ has an increased sun protection factor and is required to meet more stringent broad spectrum requirements for UVA and UVB filtering compared with current SPF30+ products. Dermatologically tested and suitable for sensitive skin. TGA Listed (AUSTL 223881/223882).